External  wall insulation is essentially a layer of insulating material fixed to the exterior walls with adhesive and mechanical fixings, covered in a render coating with reinforced mesh, followed by a decorative coating. Many properties in Wales and the North of England are particularly old housing stock i.e old stone houses and wimpey-no-fines or poured concrete, which suffer significant heat-loss. One way to combat this heat-loss is to install External wall insulation. But what are the benefits of having this specialist type of insulation? But What Are The Benefits of EWI? 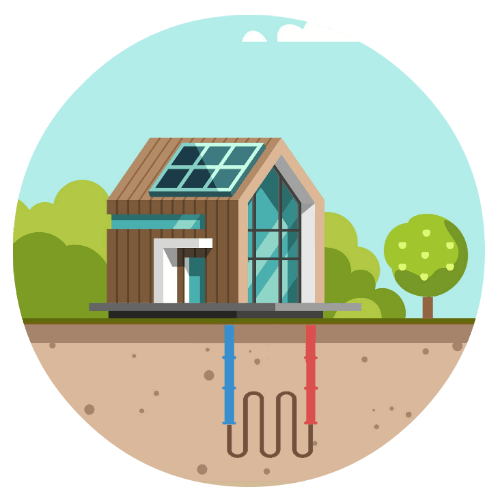 Reduce Heat Loss – the extra thick layer of insulation will help to trap heat inside your home and reduce cold air penetration, thereby improving the energy efficiency of your home, even by up to 33%! Save money on your energy bills – homeowners of a standard 3 bed property with External wall insulation can expect to save up to £460 per annum on their energy bills, meaning you will have more disposable income. Reduce environmental impact – most properties use gas, oil or LPG for heating, and burning these fossil fuels produces carbon dioxide and therefore CO2 emissions. Installing External wall insulation reduces the need to use so much heat, reducing your CO2 emissions by up to 1900kg per year. Improve the appearance of your home and add value – the exterior of a building is exposed to the elements and naturally suffers from stains and wear and tear. External wall insulation provides your home with a brand new finish, requiring little maintenance, adding value to your property. Reduce condensation and damp issues – a lot of properties suffer from condensation due to the natural moisture content within air. If this moisture is able to penetrate the buildings exterior it can turn into damp and mould, which is not only unsightly but can cause structural issues and be expensive to remedy. Installing External wall insulation increases the internal temperature of you property, eliminating condensation and therefore damp issues. Straightforward and quick installation process – although more labour-intensive than cavity wall insulation, installing External wall insulation can be achieved in less than a week on a standard semi-detached/detached property. Contact the Zing Energy team today and discover how installing external wall insulation can benefit your home!